The market is awash with newer, better smartphones promising the best to the users. And Huawei P20 Pro is certainly one of them. Launched recently, the smartphone has left competition far behind with its triple rear camera setup. The device is ready to be launched in India shortly and the expectations are already soaring up. In case you are looking to change your phone, here’s all you need to know about the new Huawei P20 Pro before making a buying decision. A 6.1-inch OLED display grants the phone an ability to run a High Definition resolution of 1080×2240 pixels. The pixel density verges on a good 408 PPI with an aspect ratio of 18:7:9. 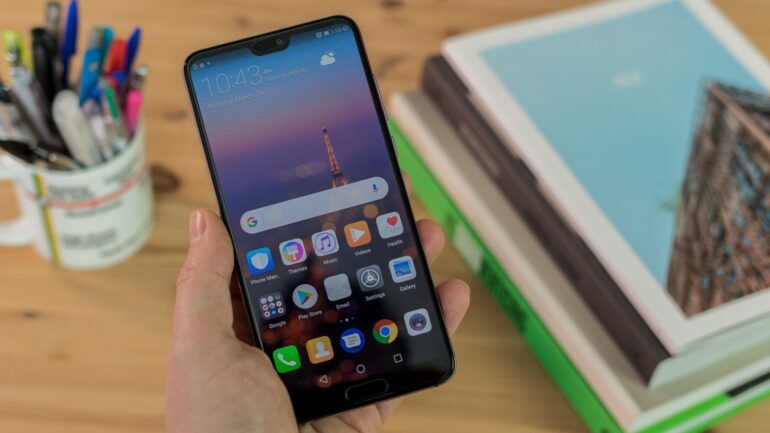 The screen to body ratio gets close to 82 percent for Huawei P20 Pro which is largely due to fingerprint sensor that the company decided to incorporate below the screen. One point that Huawei missed out on would be taking the lead in the display by featuring Q HD display which almost all its counterparts are going big on instead of the routine HD, but it can be ignored given the latest Huawei product focuses more on the camera quality. Also, the difference between HD and Q HD is not easily told. The camera is undoubtedly the best feature Huawei P20 Pro has got to offer. The high-focus lenses able to capture contrast and colors with minute precision add to the quality and enhance the whole experience of clicking pictures. It is the first time ever that a mobile phone is using Leica triple cameras with large apertures and efficient sensors to raise the picture quality. The camera uses Artificial Intelligence and computer vision for face recognition, making clicking of selfies a treat better than ever before. The fantabulous 40 megapixels camera beats any other camera phone any day with its exceptional prowess in capturing every subject in minute details. Even the front camera is a 24-pixels one, better than the back cameras of most phones out there. The 3D Portrait mode and 5x hybrid zoom along with the super-slow speed of 960 frames per second raises the bar for the company’s competitor to compete over. With all these features, Huawei P20 Pro certainly establishes itself as the best camera phone in the market if that is what you are looking for. Huawei P20 Pro comes in awesome gradient color finish (twilight and pink gold). The phone features a smooth glass display and shiny, delicate, slim exterior which looks swish. A durable 4000 mAh battery ensures a long battery backup. Fast charging and low depletion of power help in reducing charging cycles for the longevity of battery life. The phone comes equipped with a 6 GB RAM and 128 GB of internal storage with SD support which sounds as good as any of the rival phones present in the market. Huawei P20 Pro is surely about to bring a revolution in the way people perceive phone photography and with all its other robust features, it is a good option for all the photography buffs out there to go for.